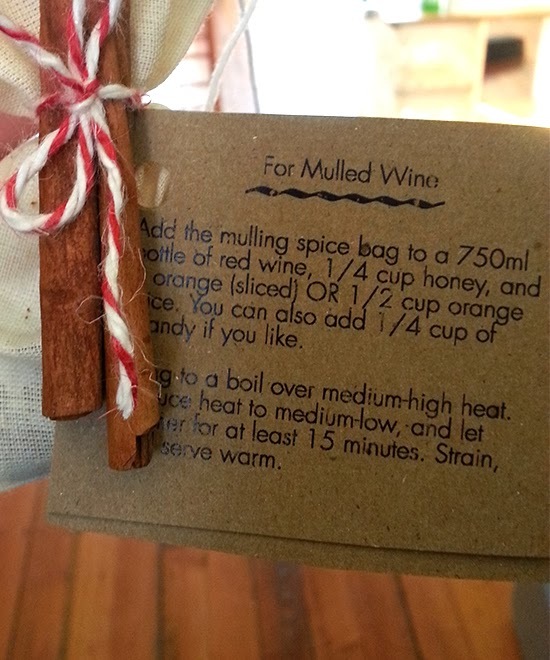 Add the spice bag to a pot of heated red wine or apple cider and it becomes a festive holiday beverage. Steam in hot water and it will make your home smell divine! With all of the components found at grocery and craft stores, this is a fun project for a little gift. Muslin bags (found in a local craft store or online by googling "bouquet garni bags." "For Mulled Cider: Pour 1 gallon of cider in a large saucepan and immerse bag of mulling spices. Add a splash of Grand Marnier or Calvados to taste, if desired. Heat over medium until steaming and very hot. Reduce heat to low, cover, and let the spices mull until cider is fragrant and tastes well-spiced, about 25 minutes. Discard spice bag before serving. Serve hot or cold." 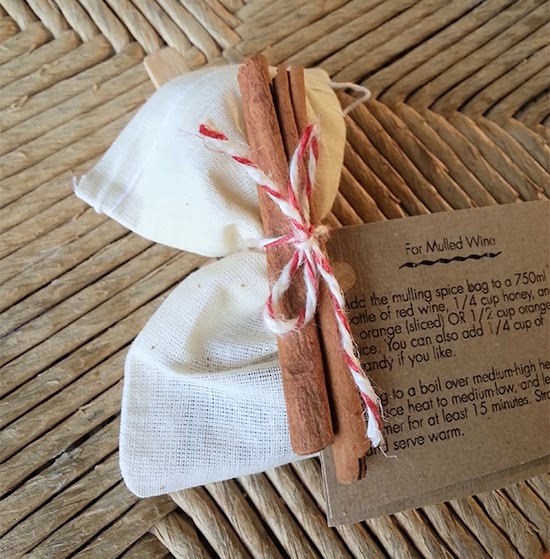 "For Mulled Wine: Add the mulling spice bag to a 750ml bottle of red wine, 1/4 cup honey, and 1 orange (sliced) OR 1/2 cup orange juice. You can also add 1/4 cup of brandy if you like. Bring to a boil over medium-high heat. Reduce heat to medium-low, and let simmer for at least 15 minutes. Strain, and serve warm. 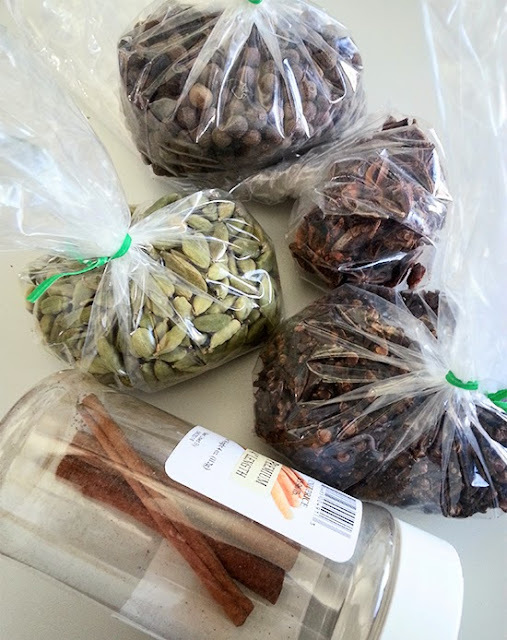 Add cloves, allspice, cardamom and star anise to the little bags. 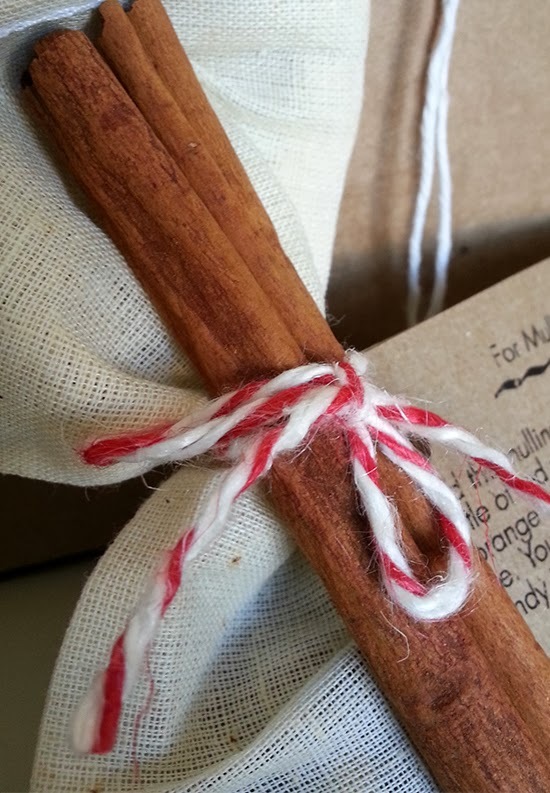 Tie closed with string along with the cinnamon sticks and tag." When the tags are cut out, punch a hole in each corner. Take your spices and add the cloves, allspice, cardamom, and star anise to the little bag. Tied closed with the string. Attach the tags and cinnamon with the same string or use a second one. Voila! You have a lovely little gift item for a loved one (or just for yourself! ).